The 2013 United States-New Zealand Pacific Partnership Forum, to be held in Washington, DC from 19 to 21 May 2013, will bring together over 200 game-changing leaders from government, business, the media and non-profit organizations in a global dialogue. Organized by the United States | New Zealand Council in Washington, DC and the ﻿New Zealand United States Council in New Zealand, the Partnership Forum will combine innovative presentations, off-the record discussions, outstanding networking opportunities as well as tangible examples of what’s next. The Future Partners programme is a component of the Partnership Forum and its purpose is to enable a diverse group of emerging American and New Zealand leaders to participate fully and contribute actively to the discussion in the Partnership Forum. 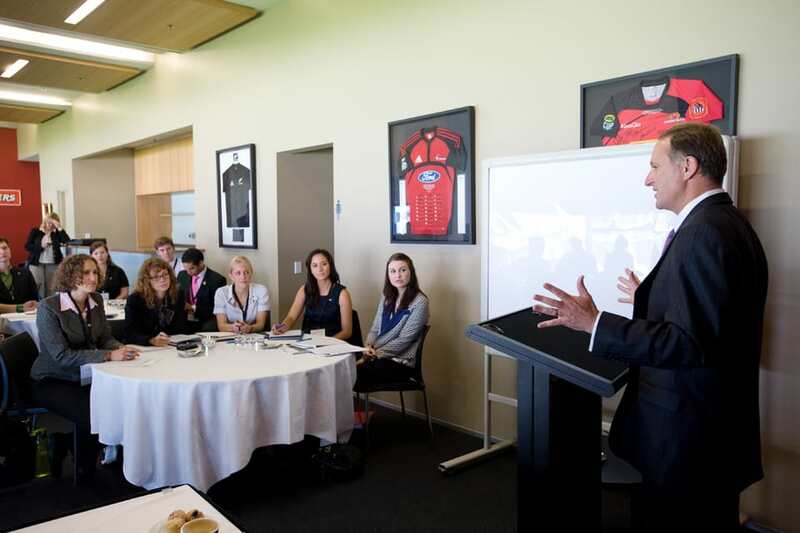 Their participation will encourage diversity of view and new thinking at the event, as well as assist a new generation of leadership to develop interest in global issues and in the NZ-US relationship, and gain new insights and connections. 20 places will be offered to New Zealand participants aged 20-30 who are studying or working in either New Zealand or the United States. Of these 20 places, up to 10 places will be reserved for current or former Fulbright grantees including those studying in the United States. Accommodation and most meals during the Forum will be provided. Selected participants who are New Zealand based will be provided with air transport to and from Washington, DC by the Royal New Zealand Air Force. The RNZAF plane’s flight plan is yet to be confirmed but it is likely to depart Wellington on 18 May in the morning, and arrive back at Whenuapai Air Force Base in Auckland on the morning of 25 May. Selected grantees will need to find their own way to Wellington, and from Whenuapai back to their home location. Participants resident in the United States or elsewhere will need to personally meet the costs of transport to and from Washington, DC. Selection of participants will be based on the applicant’s past experience, future plans, ability to participate in the Forum and reasons for doing so, and desirable attributes such as strong interpersonal skills, ambassadorial qualities and leadership qualities and potential. Applications to be a part of this exciting opportunity close at 5:00pm on 2 April (New Zealand Time).